The Baltimore Office of Promotion & The Arts (BOPA) dedicates a Transformative Art Prize project by renowned artist Amy Sherald, in partnership with Station North Arts & Entertainment District. A large-scale version of the artist’s oil on canvas painting, “Equilibrium,” will be installed at Stavros Niarchos Foundation Parkway Theatre, 5 W. North Ave., Baltimore, MD 21201, situated at the geographic center of the city. After the dedication, guests are invited to a brief reception at the Parkway. The original painting is in the permanent collection of the Embassy of the United States, Dakar, Senegal. 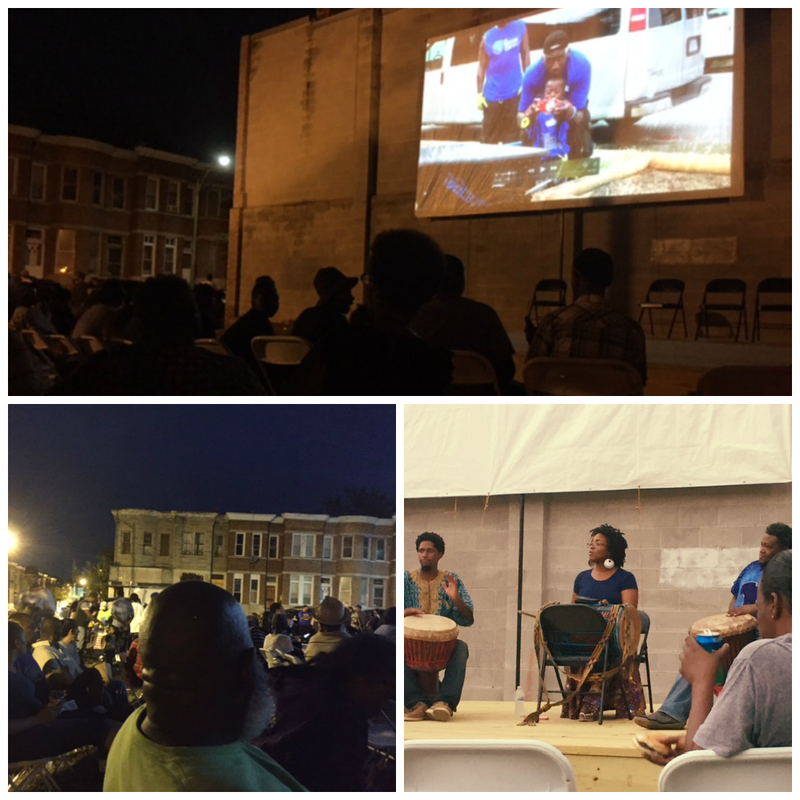 Originally awarded in 2014, the Transformative Art Prize project is managed by BOPA and supported by Baltimore City Department of Housing & Community Development, Station North Arts & Entertainment District and Charles North Community Association. PNC Bank was a dedicated supporter of this project in 2014. 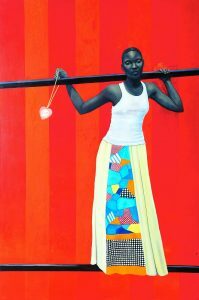 Amy Sherald (American, b. Columbus, GA 1973, lives and works in Baltimore, MD) received her MFA in painting from Maryland Institute College of Art (2004) and BA in painting from Clark-Atlanta University (1997), and was a Spelman College International Artist-in-Residence in Portobelo, Panama (1997). 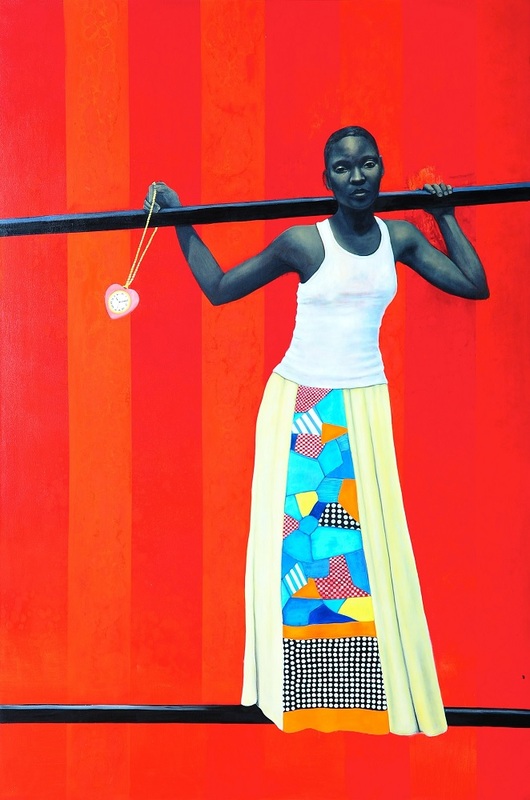 Known for her stylized portraits of African Americans, in 2016, Sherald was the first woman to win the Smithsonian National Portrait Gallery’s Outwin Boochever Portrait Competition; an accompanying exhibition, “The Outwin 2016,” was on tour through August 2018. In February 2018, Sherald unveiled her official portrait of Former First Lady Michelle Obama, commissioned for the Smithsonian National Portrait Gallery, Washington, D.C. Sherald has had solo shows at venues including Monique Meloche Gallery, Chicago, IL (2016); Reginald F. Lewis Museum, Baltimore, MD (2013); and University of North Carolina, Sonja Haynes Stone Center, Chapel Hill, NC (2011). A solo exhibition of new and recent works first opened at Contemporary Art Museum, St Louis, MO in May 2018 and will travel to Crystal Bridges Museum of American Art, Bentonville, AK, and Spelman College Museum of Fine Art, Atlanta, GA. Recent group exhibitions include “Southern Accent,” Nasher Museum of Art at Duke University, Durham, NC (2016), which traveled to Speed Museum of Art, Louisville, KY (2017), and “Face to Face: Los Angeles Collects Portraiture,” California African American Museum, Los Angeles, CA (2017). Residencies include Odd Nerdrum Private Study, Larvik, Norway (2005); Tong Xion Art Center, Beijing, China (2008); Creative Alliance, Baltimore, MD (2016); and the Joan Mitchell Foundation, New Orleans, LA (2017). Sherald’s work is held in the public collections of the Embassy of the United States, Dakar, Senegal; the National Museum of Women in the Arts, Washington, D.C.; Smithsonian National Museum of African American History and Culture, Washington, D.C.; Smithsonian National Portrait Gallery, Washington, D.C.; The Columbus Museum, Columbus, GA; Kemper Museum of Contemporary Art, Kansas City, MO; and Nasher Museum of Art, Durham, NC. Sherald is represented by Hauser & Wirth, New York. Park Heights Renaissance is looking for an artist partner to design a Transformative Art project for a vacant lot in their community. The lot in consideration is the site of a proposed community garden to benefit the students, families and community around Arlington Elementary Middle School. The project is supported by Park Heights Renaissance, the school, and multiple community partners. It is located in a residential community, surrounded mainly by housing, and is approximately 3 blocks from Arlington Elementary Middle School, on a corridor that sees a fair amount of auto and foot traffic. For this project, we hope to engage the community in planning what the final project will entail, but we expect that this will be a permanent visual enhancement (mural, sculpture, etc.). The intent is that the experience and the artwork itself will simultaneously improve the aesthetic appeal of the neighborhood, engage students and adults in an artistic opportunity, and help the generate interest and engagement in the community garden. If you’ve driven down East Fayette Street in the last month, you may have noticed a new mural going up. 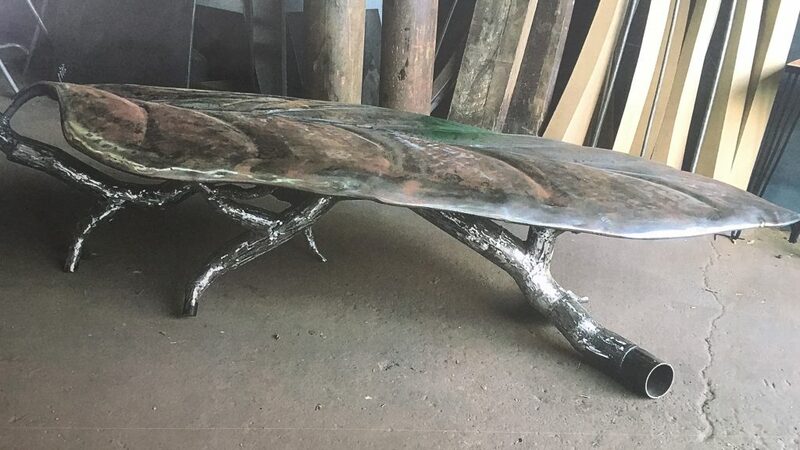 Shawn James and Charles Lawrance of Mural Masters Inc have been working on their Patterson Park Chesapeake Mural along with Kyle Miller and Tim Scofield who are fabricating a matching sculptural bus bench to be installed at the intersection of N. Milton and E. Fayette. The project is a recipient of the 2016 PNC Transformative Art Prize and was created through a partnership between the artists and the Patterson Park Neighbors Association. 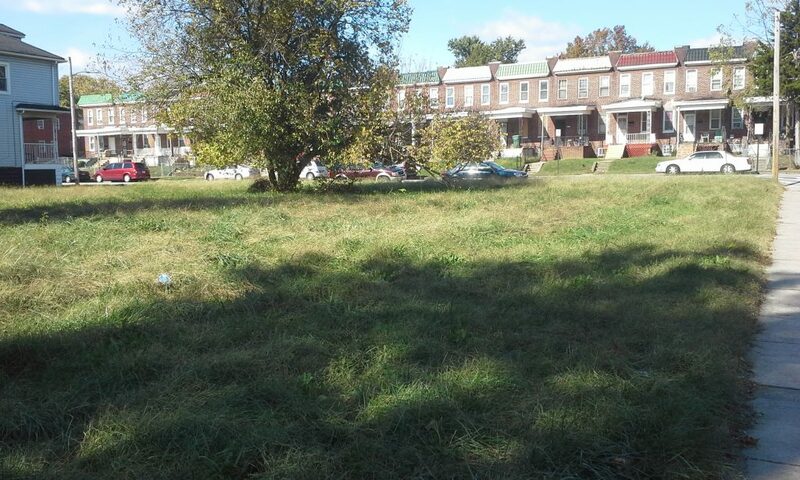 How did you get involved with the Patterson Park Neighbors Association and how did this project come about? The Patterson Park Neighbors Assc. approached Mural Masters, Inc to be the lead artist on their PNC Transformative grant application. We discussed the clean water, community, and environmental cleanup and revitalization efforts that the association is undertaking and designed an aesthetic motif around it. The inspiration is the clean water and Chesapeake Bay revitalization efforts by the community, city, and state. Could you describe your process for creating the work? The process involves discussing the motive, goals, and intended audience and how they serve each other. Through discussion we narrow down a theme and then begin selecting styles to convey imagery. Then Mural Masters, via the superb wildlife painter Charles Lawrance, created a mock up for approval. Now that painting is underway, how has the response been from the community and passersby? The response has been tremendous. Not only do we receive constant praise and admiration from the pedestrian public, but also receive yells and honks of approval from passing auto traffic. How has the project influenced your practice? This project has influenced my practice by connecting me with Tim and Kyle. I’m learning a lot from them about fabrication and want to continue to add sculptural elements to my work where applicable. Our clients vary and there are a few client driven pieces coming up as well as a couple of expressive and contemporary murals. Do you have any advice for aspiring artists who are interested in entering the field of public and community arts? My advice to any aspiring public artist is to keep honing their illustration and arts craftsmanship. Also volunteer with other public artists to learn the ropes, the hoops you have to jump through, and the logistics of working in a large scale public space. 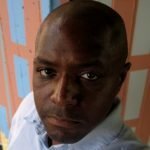 Shawn James is the owner operator of Mural Masters, Inc. a public arts contracting company. He is a trained artist who loves public art with an extensive background in public art creation and administration. For more information on Shawn, you can follow Mural Masters on Instagram, Facebook, or on his website at www.muralmastersinc.com. Thanks to a grant from Baltimore Office of the Promotion and the Arts’ PNC Transformative Art program, a collaborative project involving Morgan State University School of Community Health and Policy and Ground Root, Inc. (formerly A New Day) will kick-off the Community Walk Through Theater (CWTT), an innovative program that will inform, educate, and entertain residents in Midtown. This arts engagement project takes full advantage of Mid-town assets by providing opportunities to create and display art, movies, messages, etc. on a 12 X 19 foot screen using a high powered projector. This projector will display information from the second floor window to a wall 150 feet directly across the street. Other partners involved with this project are A Step Forward, BUILD, Ground Root, and Missions Continues. Dates are subject to change based on weather conditions. If you would like more information about this topic, please contact Ray Baylor at 410-961-2205 or Dr. Randolph H. Rowel at 443-885-3138 or email at Randolph.rowel@morgan.edu. PNC Transformative Art Prize application due Wednesday! The Baltimore Office of Promotion & The Arts is now accepting applications for the 2016 PNC Transformative Art Prize! 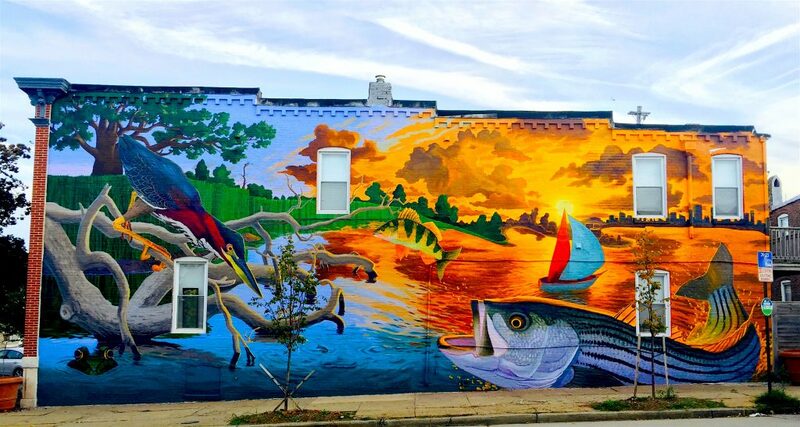 The award grants up to $30,000 to Baltimore City community groups to enliven their underutilized public spaces through high-impact, community-driven public art projects. For 2016, the PNC Transformative Art Prize will build on the momentum and energy of the inaugural Light City Baltimore festival (March 28-April 3) and invite proposals for outdoor lighting and projection works of art. 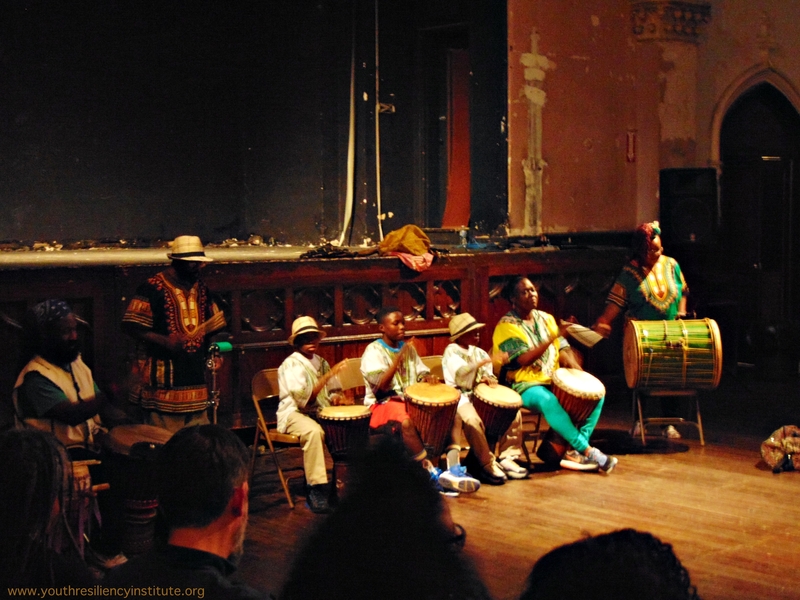 Community groups are asked to partner with artists and/or arts organizations to propose and design a transformative art concept for their neighborhood.